Magdalena Tecław studied finance and banking at the University of Gdańsk. She was scholar of Socrates/Erasmus program of ecomonics (Volkswirtschaftslehre) at the Hochschule Bremen. She finshed traineeship in German revenue office and in the Chambers of Commerce and Industry (Industrie – und Handelskammer). In 2005 she passed successfully the exam for tax advisor. She has over 10-years professional experience in tax advising for companies with foreign capital. 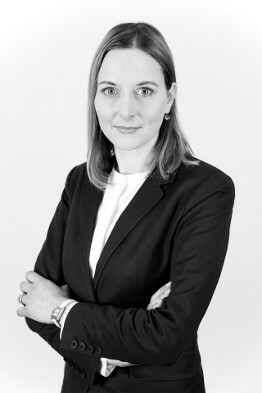 Her professional interests focus especially on the issues of double tax agreements and value-added-tax-proceedings. Currently she studies postgraduate studies – law and economics at the Faculty of Law and Administration of the Adam Mickiewicz University in Poznań. She speaks fluently German and speaks also English.